Want to feel the burn to start the weekend off? Try out this leg workout I made for ya! 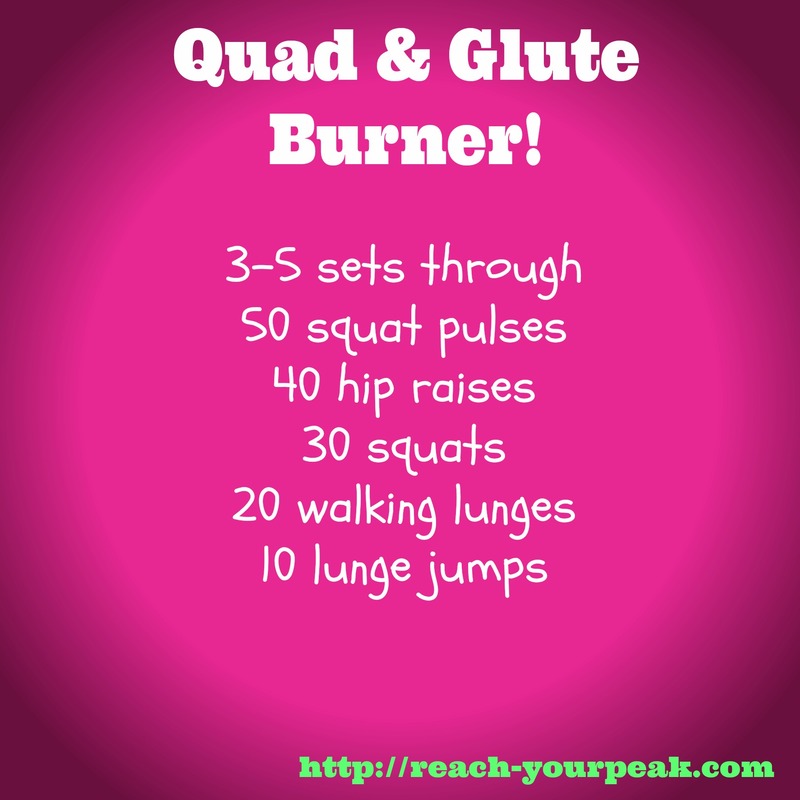 You will definitely feel the burn in your quads and glutes. I suggest 3-5 sets through with a 1 min break in between, but do more or less depending on how you feel/how long you want your workout to be, or add in some abs at the end to make it longer. You can do this with no equipment, or add weight to make it even more challenging. This week is week 7 of NYC Marathon training. I actually thought it was week 6 until I looked at my training calendar and couldn’t believe I’m already halfway through week 7! On Monday, I had a track workout which was pretty tough. My mom and I needed to do a 1 mile warm up, 8×600 meters with 400 meter jog, and 1 mile cooldown. We needed to run the 600′s in 5K pace. The first 2-3 were okay…it was a little hard but we kept pace. The last half was rough. By the last 2 reps I was a few seconds off pace. It’s ok though, I know we will improve with time. Yesterday, we had our 5 mile tempo run again (with 1 mile warm up and cool down). It was actually a little easier than last week! I felt great during last week’s run but felt even better this time. The 5 miles flew by and I accidentally went faster than goal marathon pace…oops. Each mile I tried to slow down a bit but I kept running a bit faster. Is that bad? Afterwards we did 3 sets of bench step-ups and single leg hip raises. We haven’t lifted in a few weeks so I want to get back into it, even if it’s bodyweight stuff after runs. Training has been going good so far. Tomorrow is our first double digit run! I can’t believe we are almost half way through training, but I’m okay with that…I just want Nov. 3 to get here. How do you push yourself through tough workouts, especially when you want to quit? Sometimes it’s so hard!